Saturday, 28 April is World Day for Safety and Health at Work, and Workers’ Memorial Day. It is a day to promote safety and health in the workplace and to honour those who have died from work-related injury or illness. “The Australian Chamber and our members strongly embrace this year’s theme of ‘generation safe and healthy’ with a number of our members running dedicated apprentice and trainee health and safety programs,” Australian Chamber CEO, James Pearson, said. Apprenticeship Support Australia offers one of many programs run by chamber members nation-wide to promote young workers’ health and safety. The mentoring program for employers, apprentices and trainees under Apprenticeship Support Australia recognises the importance of mentoring support for young workers, and encourages good safety practices and culture. Sandra McKechnie, Team Leader of Careers and Mentoring, for Apprenticeship Support Australia in WA says, “Apprenticeships and traineeships can be stressful with individuals balancing work, study and personal lives. “Mentoring provides an extra support mechanism, a point for referral to external services and a sounding board for frustrations. “Every day, our mentoring team assists employers and apprentices with health and safety matters in the workplace. “We encourage apprentices to address any issues they have directly with their employer, coaching them on how to have a productive conversation that addresses their safety concerns. 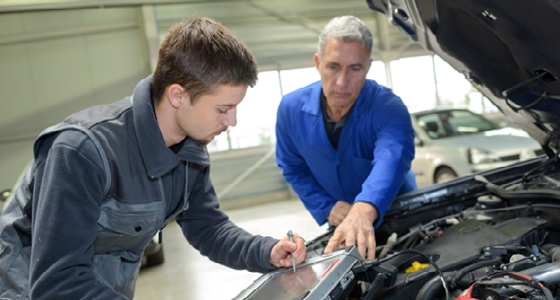 Another Australian Chamber member, the Victorian Automobile Chamber of Commerce similarly recognised a need for apprenticeship support, establishing its Auto Apprenticeships program in 1983. Constantly evolving, this program is designed to assist apprentices throughout their automotive apprenticeship, providing them with an induction and education on OHS from the moment they start, and continuing with support in relation to OHS concerns, procedures or personal health and safety from a personally appointed Apprentice Field Manager. Apprenticeship Support Australia, phone: 1300 363 831 or email: [email protected]. VACC Auto Apprenticeships, phone: (03) 9829 1130 or email: [email protected].